Columbia RecordsUnlike the 24-hour visual for “Happy,” Pharrell Williams has released a five-minute video for “Marilyn Monroe,” the second single off his album G I R L.
“My new video for #MarilynMonroe: That which makes you different, is what makes you special,” Pharrell tweeted with the YouTube link. In the clip, the singer dances with women from various ethnic backgrounds while famed choreographed Fatima Robinson looks on. At one point, Kelly Osbourne also makes a cameo to perform her line on the song. 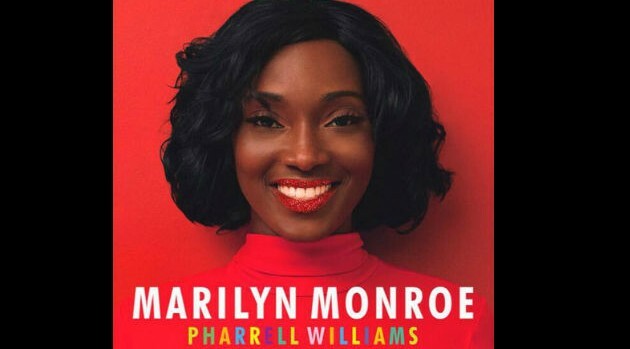 Interestingly, a dark-skinned model appears on the single cover for “Marilyn Monroe.” Earlier this year, Pharrell was criticized for excluding black women on his album cover, which features three fair-skinned women wearing shades and bathrobes.